Where indulgence is at home: No other region in Germany possesses as many award-winning gourmet restaurants as the Black Forest. 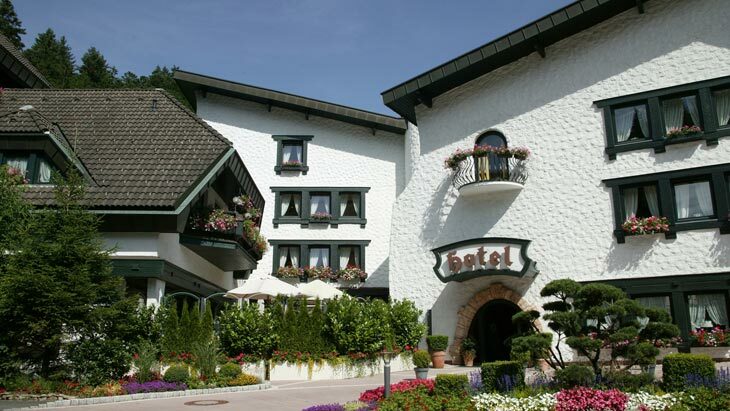 Aside from his award-winning kitchen, Jörg Sackmann from Baiersbronn also runs the family hotel. In the Romantik Hotel Sackmann, guests can relax in a 1,300 square meter wellness complex and in the en-suite wellbeing bathrooms in the newly renovated rooms. The Hansgrohe faucets installed there reflect the high quality standards of the management. Between the rolling green hills of the Black Forest on the Murg river – a real realm of the senses – the spas and bathrooms are equipped with faucets from the Axor Citterio bathroom collection and showers from the Axor Starck ShowerCollection for a true pampering sensation. With their combinable shower, thermostat and light modules, the shower collection offers the possibility of reacting individually to a variety of room environments. Temptation using aromas, creativity and freshness – Jörg Sackmann has taken the recipe for success from his kitchen and implemented it in the “Sackmann-Spa” and comfortable hotel rooms: “Why shouldn’t our guests also be able to enjoy the temptation of the senses in their hotel room?” comments the owner on his hotel concept.